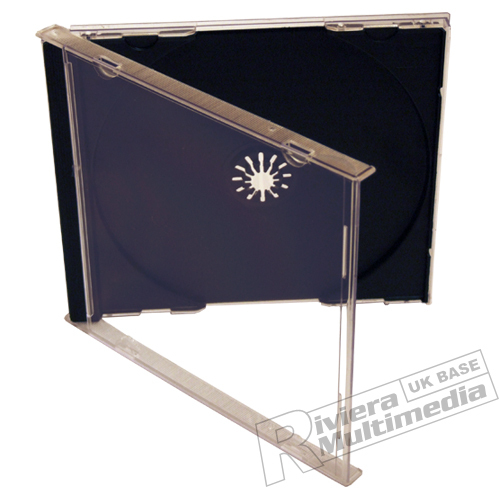 - Standard CD Jewel Case. - Clear Outer with Black Removable Tray. - Shape: Transparent with removable black trays. Sturdy and perfect for my needs. As always, goods are exactly what I wanted. Will be ordering dual cases in the future. As usual good quality,and fast delivery recommend every time.